Do you know how much money the average PGA golfer makes annually? If you are looking for that answer you have come to the right place. 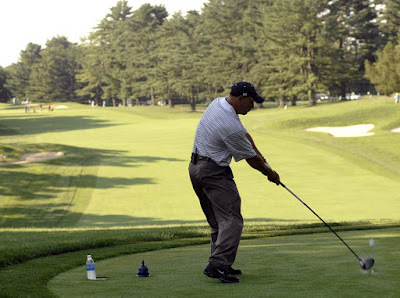 This article will give the salary range for PGA golfers who play golf for a living. The money included here is only the money paid out to the golfers by the PGA. It does not include bonus money payouts for the FedEx Cup Playoffs or any other money payouts like for endorsements. It's strictly earnings from playing on the PGA Tour. Keep in mind that the money below can appear pretty staggering, the average PGA golfer makes over 16 times the average salary of a US worker, but the PGA golfers have to pay all their own travel and hotel expenses plus pay for their own management teams, caddies and everything else. One more thing to keep in mind. A total of 2,100 men's golf scholarships for college are available each year. So there are thousands of men earning their college degrees right now by playing golf. The vast majority of those men will never play golf professionally but playing golf will forever have helped them economically in their lives. In 2017, a total of 381 golfers made money playing on the PGA Tour. How much money does the average PGA golfer make per year? In 2017, a total of $340 million was paid out to players by the PGA Tour. The average amount paid out to a PGA golfer is $340 million divided by 381 = $892,388. That total includes 102 players who made over $1 million and 124 players who made less than $100,000 and all the players in-between. Note, all golfers who made money on the PGA Tour in 2017 are included here whether they were official PGA Tour members or not. FedEx Cup Playoff prize money is not included here - only earnings from PGA Tour events are included. The top 10 PGA golfers made an average of $6.91 million. Justin Thomas was #1 at $9.922 million and Brian Harman was 10th at $4.4 million. The average top 20 golfer made $5.47 million. Russell Henley was 20th at $3.4 million. The top 50 golfers made an average of $3.774 million. Lucas Glover was 50th and he made $1.956 million. J.J. Spaun was 100th and he earned $1.123 million. Joost Luiten was 200th and he earned $280,000. Players who finished from 201 to 381 earned an average of only $80,867. Life gets very tough for golfers on the PGA Tour if they cannot finish in the top 200 at least.